Laurel Steinherz is the pediatric cardiologist at Memorial Sloan Kettering Cancer Center and an expert in the cardiac toxicity of cancer and cancer treatment. For the past three decades, she has interacted with colleagues in pediatric oncology to define the cardiac toxicity of new drugs and protocols at MSKCC, the Children’s Cancer Group/Children’s Oncology Group and other international cooperative study groups. She was a co-founder of Camp Simcha with her husband, Peter, and is thrilled to spend time with campers in this wonderful setting. Dr. Wexler is a pediatric oncologist at Memorial Sloan Kettering Cancer Center who specializes in the treatment of bone and soft tumor sarcomas. He is currently co-chair of an international study to evaluate the effectiveness of chemotherapy for the treatment of children with osteosarcoma, and co-investigator of a clinical trial at Memorial Sloan-Kettering that evaluates a novel combination of chemotherapy agents and radiotherapy techniques for the treatment of children with rhabdomyosarcoma. “Dr. 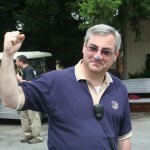 Lenny” has been at Camp Simcha for many years. His “office” is the entire camp, and his prescription for recovery includes plenty of laughter and fun. Dr. Fein Levy is a pediatric oncologist at Schneider Children’s Hospital, part of the North Shore-LIJ health system, and an assistant professor of pediatrics at Albert Einstein College of Medicine. 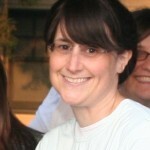 She cares for infants, children and young adults with cancer and serious blood disorders. Her main clinical focus is the treatment of rare pediatric tumors, particularly germ cell tumors, sarcomas of the soft tissues and bone as well as childhood leukemia. She is an active member of the Children’s Oncology Group, an organization dedicated to clinical research in the field of pediatric cancer. Currently, Dr. Fein Levy is involved in several research trials studying the biology of solid tumors and the implementation of new drugs and treatment plans that improve the long-term survival of cancer patients. Dr. Fein Levy has recently been charged with the responsibility for developing the Adolescent and Young Adult Oncology (AYA) Program for the health system. The children of Camp Simcha have been fortunate to have Dr. Carolyn on their side since 1999. 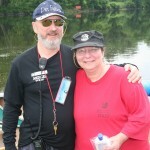 The consummate physician and friend, she exudes warmth and hope throughout camp. 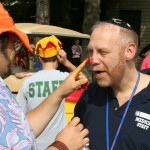 Robert Van Amerongen, MD, has been a member of the medical staff of Camp Simcha Special since its inception in 2001. He is also the director of the Pediatric Emergency Service, Department of Emergency Medicine, at New York Methodist Hospital in Brooklyn, New York and is assistant professor of emergency medicine in clinical pediatrics at the Joan and Sanford I. Weill Medical College of Cornell University. Dr. Van Amerongen holds dual board certifications in general pediatrics and pediatric emergency medicine. A graduate of Yeshiva University and the Albert Einstein College of Medicine, he completed a residency in general pediatrics at North Shore University Hospital, and a fellowship in pediatric emergency medicine at Bellevue Hospital/NYU Medical Center, New York City. Brand new Health Center staffed by specialized physicians, nurses, EMTs, pharmacist and physical therapist. Acute transport ambulanc is on-site at all times, and accompanies campers on all off-site activities. Medevac helicopter, on call 24/7, can reach camp within 5 minutes. Chemotherapy can be administered at camp.